Sometimes, in the creative field you have an image that sticks in the team’s collective mind for a long time before the perfect client comes along. 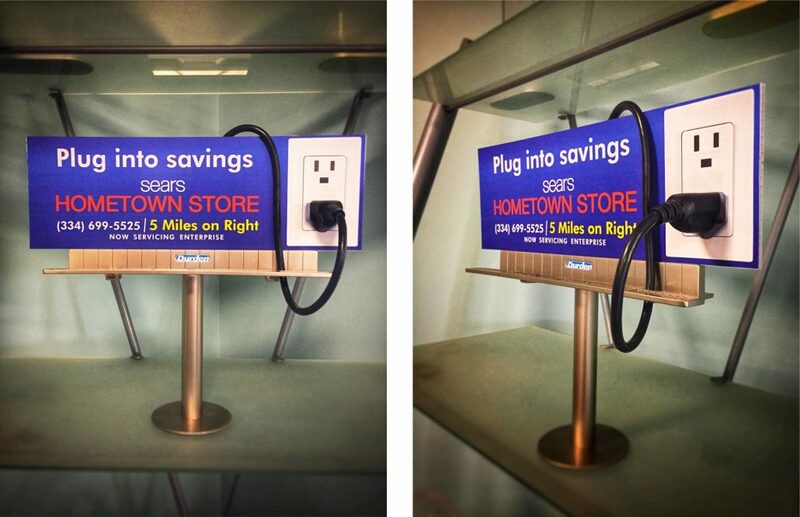 For us, that image has been a gigantic 3D appliance plug hanging from a billboard. It’s a great idea, but who would it work for? That’s where Sears Hometown Store located at 2701 W Main St Suite 1, Dothan, AL 36301 comes in. Owner Ashley Enfinger loved the 3D appliance plug idea when our in-house creative department first pitched it. He thought this imagery tied in great to promote home appliances which is one of their strongest sales categories carrying such brands as KENMORE, SAMSUNG, GE, FRIGIDAIRE, KITCHEN AID and more. Fortunately, they were open to letting our creative gears turn for them. Another thing that helps to sell an out-of-the-box idea like this is miniature mock-up. Once everyone was on board and the final design signed off on, the real nuts and bolts of the design begins. 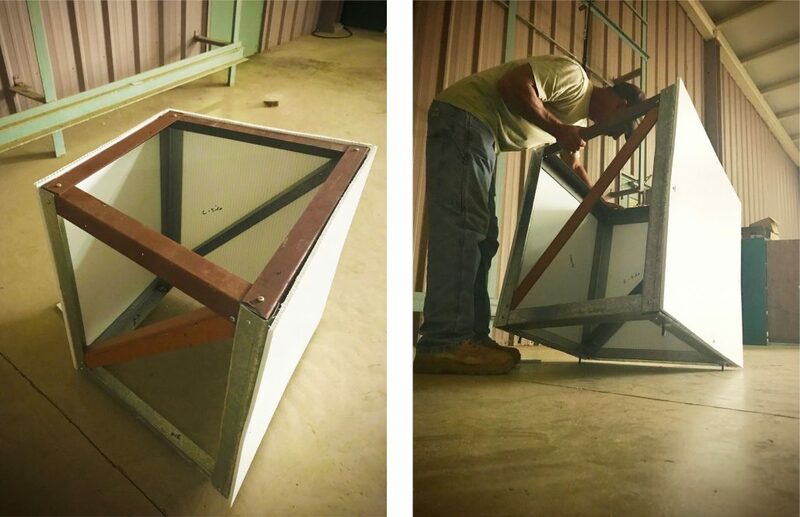 Our production team is one of the greatest facets of our creative process here at Durden Outdoor. Without their skills, even the best creative ideas would be dead in the water. Team Durden constructed the 3D Electrical Plug & Cord with 10mil coroplast & light gauge angle. The cord was made from 12″ corrugated drain pipe and then fastened to the front of the billboard. 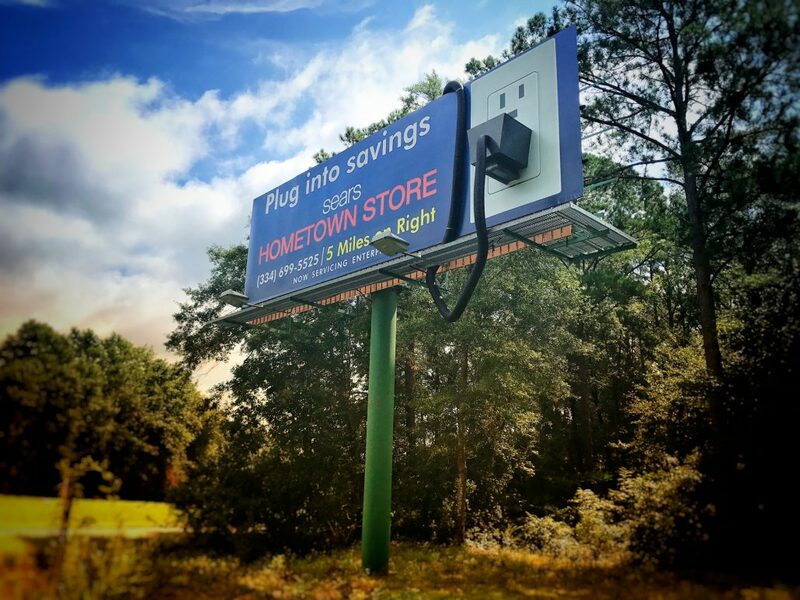 Now this board stands to guide motorists, driving in on Hwy 84 West into Dothan, and reminding them of all the savings they can “Plug Into” with the help of their local Sears Hometown Store.